A major influence on the drama output of both ITV and BBC television in Britain, as well as on CBC and the National Film Board in Canada, Sydney Newman acted as head of drama at a key period in the history of television. For the first time, his comprehensive memoirs — written in the years before his death in 1997 — are being made public. Born to a poor Jewish family in Toronto's Ward, Newman's artistic talent got him a job at the NFB under John Grierson. He then became one of the first producer/directors at CBC TV before heading overseas to the U.K. where he revitalized drama programming. Harold Pinter and Alun Owen were playwrights whom Newman nurtured, and their contemporary socially conscious plays were successful, both artistically and commercially. At the BBC, overseeing a staff of 400, he developed a science fiction show that flourishes to this day: Doctor Who. 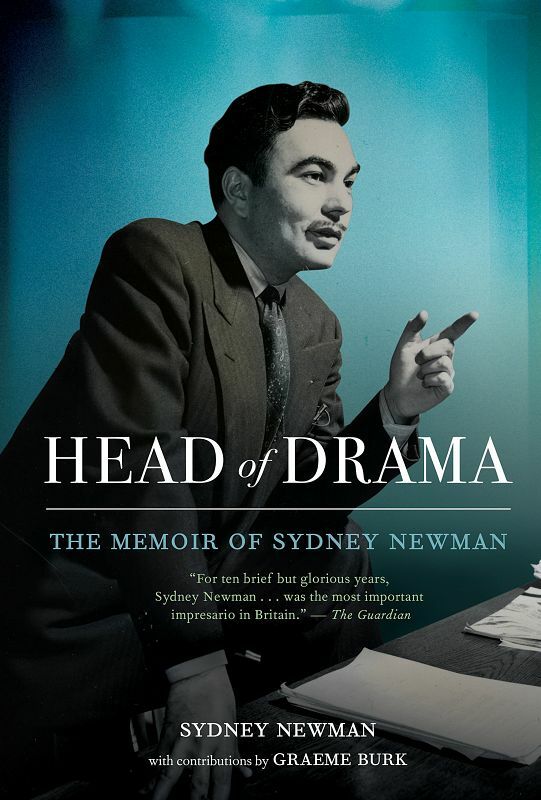 Providing further context to Newman's memoir is a deeply researched essay by Graeme Burk, which positions Newman's legacy in the history of television, and an afterword by Sydney's daughter Deirdre Newman.